It can have abrupt onset after an automobile collision or be intermittently bothersome after various activities. The neck has a similar construct as the thoracic and lumbar spines, with a disk in the front and two joints in the back, which make the shape of an equilateral triangle if viewed from above. This construct is what allows the neck to move. Muscles are on all sides to move the bones the way we may want. 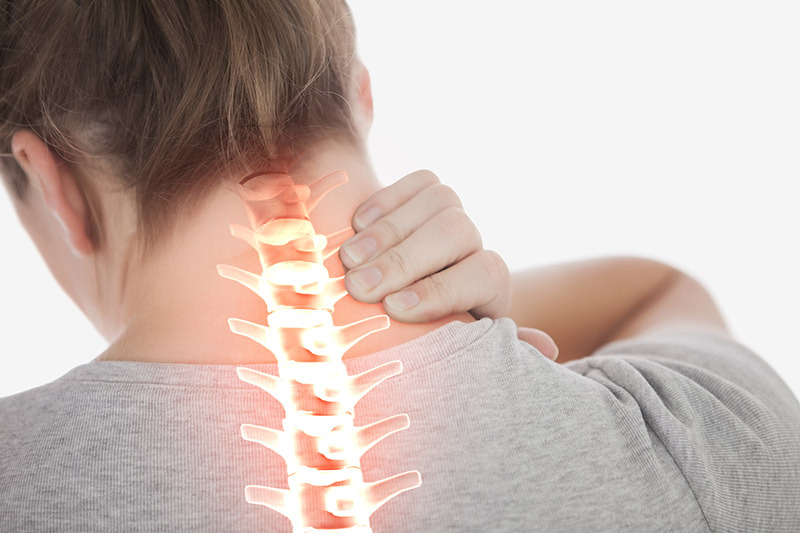 Neck pain may be from muscle strain after overuse and this tends to resolve quickly. The most common place to have pain in the neck are the facet joints. This usually causes a pain in the neck with perhaps some referral toward the shoulder areas. Sometimes joints cause headache. If the nerve is involved there generally is pain that radiates into the arm and forearm. The disk itself may also produce pain. All of these pain locations can be identified by asking a few questions and performing a physical examination. Imaging can help confirm a diagnosis, but never is the diagnosis made from the MRI or other testing. Provided treatments for the most common pain generators include flexibility exercises, mechanical traction, interventional techniques, or a combination that can produce the desired results. Cervical epidural injections can often be quite helpful in helping nerve pain referring to the arm and forearm. Facet joint injections are usually all that is required for long term relief of neck pain as long as the overall mechanics are addressed as well. If the arthritis is severe, radio-frequency ablation of the neck joints is an excellent method to obtain prolonged benefit.